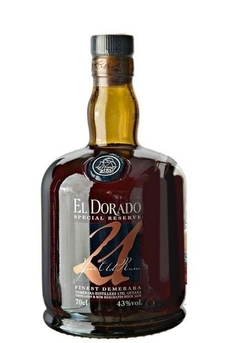 Launched in late 2002, this blend of least 21 years old rum, with some reputed to be as old as 25 years, draws spirits from three stills (known in the distillery as blend ‘B’): the world’s last wooden Enmore two-column, a French Savalle four-column and a unique Port Mourant double wooden pot still. Pungent boatyard varnish, toffee, peanuts, tobacco and hayloft. 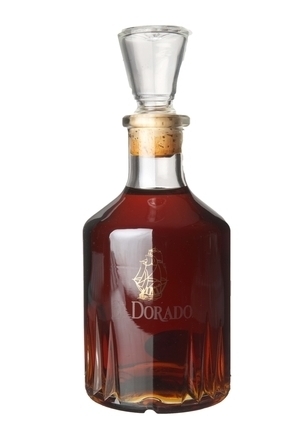 Sweet, almost boiled candy-like palate which settles down with notes of coffee, vanilla, delicate oak, stewed tea and cigar box. 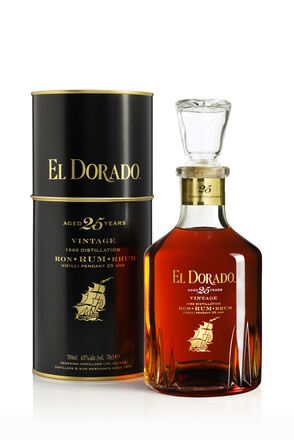 Warm, rounded finish sees tobacco and chocolate garnished with light spice, confirming this to be a delightful after-dinner sipping rum.